This is a short guide on how to install KDE 1 on Arch Linux. Install qt1, kde1-kdelibs & kde1-kdebase from the AUR. Extra applications are avaiable in kde1-kdenetwork, kde1-kdetoys, kde1-kdegames and kde1-kdeutils. You also have to have xorg-server & xorg-xinit installed. I have not tested KDE1 with a login manager (like sddm) so I can't help you with that. Now you should be able to start KDE1 with the command startx. 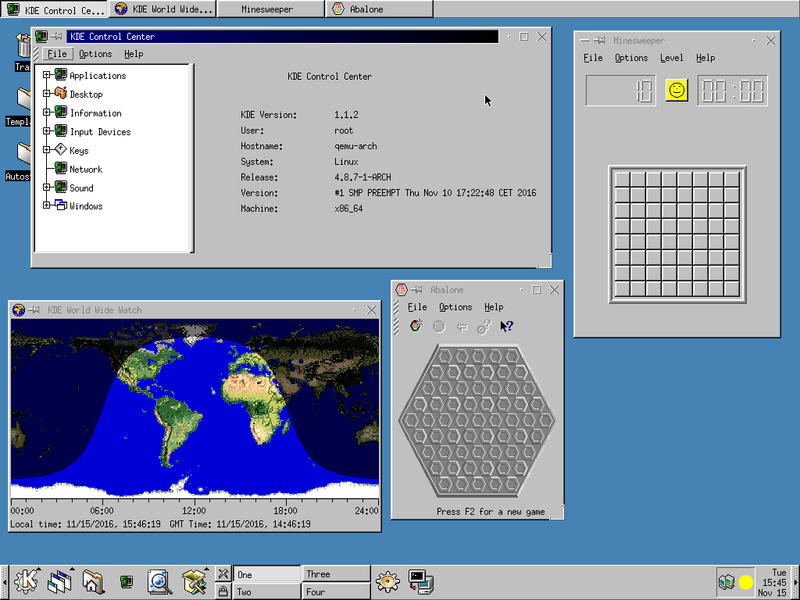 This was tested in a QEMU virtual machine (Video model: Cirrus) and on a machine with Intel graphics.